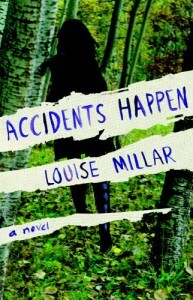 The first thing I noticed about Louise Millar's book Accidents Happen was this was going to be one of those books where things were not what they seemed. 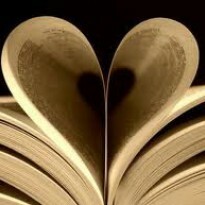 As the story progressed, that feeling was reinforced time and again. Interestingly, though, even with the feeling getting stronger and stronger, I was never quite able to put my finger on exactly what was wrong. Kate Parker is a single mother who has seen more than her share of tragedy. She lost her parents to an auto accident on her wedding day, her husband was murdered, and her house has been broken into at least once. That is enough to make anyone look over their shoulder, but for Kate it drives her to extremes. She begins to keep track of statistics on accidents in her head, pulling them out and mentally reciting them over and over until she feels in control again. In addition, she becomes convinced that she is not safe in her own home. Both behaviors leave her young son, Jack, frustrated and afraid, and her in-laws convinced that she has lost touch with reality. There were several things that I really liked about this book. First of all, the story line was interesting on several levels. I can only imagine what devices I would use to cope if I had so many tragedies befall my life in such a short time. In addition, even though I tried to figure out what was going on, I could only place my finger on the whose, not the whys. If an author can do that to me, I am usually sold. And, although it had nothing to do with the story, I especially liked the author's choice to include the information about Frano Selak, dubbed "the world's luckiest man." Little tidbits like that, that give insight into the author's thought process when writing a book, really peak my interest. The characters in the book were spot on, too. Kate had just the right amount of dysfunction contrasted with her will to improve. My feelings for her alternated between cheering her on in her recovery and wanting to slap her for backsliding or being stupid about something. I'm pretty sure that is the gamut of emotions that I would have if I knew someone in real life like her. The supporting characters were also true to what I would expect, especially her in-laws who are trapped between worry for Jack and exasperation at her antics, and her sister-in-law who feels trapped by circumstances, bewildered at the loss of her friend, and ultimately caught in the middle of the family drama. This is the first of Louise Millar's books that I have read, so I did not have any preconceived ideas of what to expect or where the story might lead. In addition, this allowed me not to be disappointed in the similarities between this book and her other one, as some reviewers have been. What I found here was a compelling story with real characters, and although the ending did seem a bit formulaic, it fit the story well. Many thanks to Netgalley and the publisher for allowing me to read this book in exchange for my review.